The automotive industry is undergoing a revolution where electric cars are replacing fossil fuel vehicles. Surprisingly, electric cars entered the industry over a century ago. In 1906, Mercedes-Benz pioneered an electric-hybrid vehicle. They’re now proud of their new model B250e, fully electric-powered and with the capability to energize the driver. The figures say it all. In the US, the sale of electric cars between 2012 and June 2017 grew by an estimated 45 percent. In fact, it’s projected that in just 20 years, that electric vehicles will become the new normal in Europe. Besides, the Energy Policy Simulator (EPS computer model) estimates that by 2050, the sales of electric vehicles will make up 65% of new light-duty vehicles sold. What Has Led to the Fast Growth of Electric Cars? Lowering Battery Prices: Electric cars are battery-powered, and with new developments in the manufacturing of batteries, the future looks promising. Due to the cheaper batteries, the prices of electric vehicles in showrooms have fallen significantly, and they’re becoming more and more affordable for motorists. And if the report by Dutch Bank ING is anything to go by, the difference between owning a fossil-fueled car and an electric car will be slim to none. Support from the State & Local Governments: Government policies have had a significant impact on the automotive industry. The revolution has received a considerable boost following the moves the various entities. Paris has plans of banning the sales of new fossil fuel-powered cars by 2030. France and UK plan ban the sale of combustion engine vehicle by 2040. 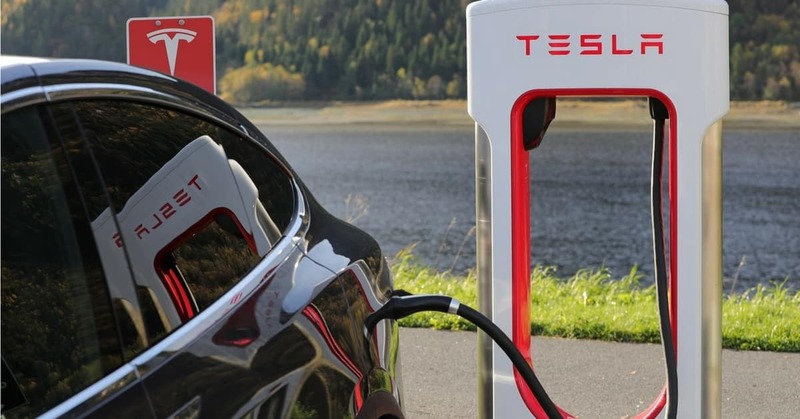 Due to the government support, the charging infrastructure has become more widespread. And with the discounted charging tariffs at the utilities, motorists have something more to smile about. Increasing Range: With the adoption of the electric vehicles, European car manufacturers need high capacity batteries. BMW, Volvo, VW and other automakers have had to import batteries for their automobiles from Asia. LG has plans to establish the first European high-capacity car battery factory plant in Poland that will supply the European car makers. They expect to make up to 100,000 electric car batteries. If you think that’s too ambitious, you’ll be shocked to know that’s just 10% of the capacity of Tesla’s Gigafactory, a clear indication of the rising demand. At iAUTOHAUS, we’re aware and proud of the shift from gasoline to electric vehicles. It is clear that electric vehicles are going to dominate and shape the automotive industry, and it has already begun. Our commitment to our customers is to move with times, which is why we already have electric-fueled car models in our inventory. Additionally, our ASE-certified technicians at our Bosch Authorized Service Center have made a commitment to accommodate the electric vehicle market for any automotive repairs. 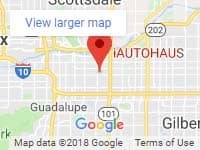 If you’re looking for a luxury, electric vehicle in Tempe, Arizona, iAUTOHAUS can help you find the finest pre-owned European cars including BMW, Porsche, Jaguar, Land Rover and Mercedes-Benz. View our inventory online or call us at 480-317-0777 for more information.